Designer Joris Dormans plays with some of RPG’s most common mechanics to battle some of it’s most common tropes. In Unfated, Era of Wanderers we use the same gameplay mechanics for combat and dialog. For a tactical RPG this move creates an expressive continuum blending violent and peaceful resolutions to an encounter, not just two mutually exclusive alternatives. This forces us to rethink the role of encounters in the game and prompts us to reinvestigate some of the common tropes in fantasy RPGs. 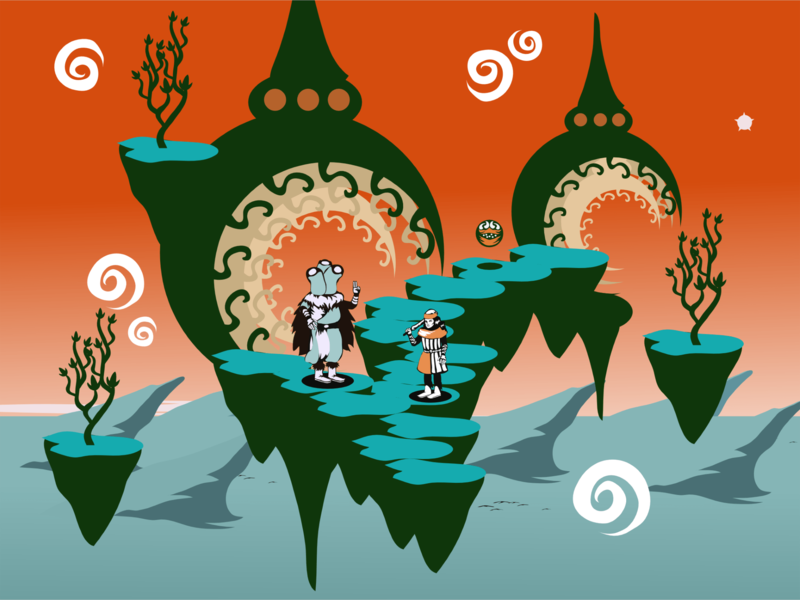 Unfated uses card-based mechanics: a character’s abilities are determined by a deck of cards. Playing an encounter, whether it ends in violence or not, is a bit like playing a game of Hearthstone. Your deck consists of ‘strike cards’ that represent combat maneuvers and ‘impress cards’ that represent generic dialog ‘moves’, among others. Both strikes and impresses can be used to manipulate the encounter’s outcome. However, they represent different strategies. By playing strikes you aim to win by overwhelming, wounding, or ultimately killing, your opponents. Impresses are played to collect special ‘outcome cards’ which grant temporary bonuses and offer alternative ways to conclude the encounter. Your character might excel in one of the two strategies, but most characters will mix both strategies in order to stay flexible. The encounters created by this system are not just about combat or just about dialog. Often the tension between the two is what makes an encounter in Unfated exciting. Your opponents might threaten you by drawing swords, but they might be bluffing. Impresses can be used to defuse a potential hostile situation, or to stall until you have the right strike cards in your hand to launch a devastating surprise attack. However, wounds are not easily healed, and a violent reputation can be just as crippling. This means that both players and AI will very likely resort on violence only as a last means. You might go through an entire session of Unfated without drawing a single drop of blood, but relying on your wits and cunningly played card-combos nonetheless. As each encounter is resolved by playing cards, chances are the player is going to lose a round or two. We ignored the instinct to balance the difficulty curve in such way the player can win every encounter. Instead, we took this as an opportunity to include failure as a plot device. After all, in the plots of classical fantasy and mythology failure drives the plot onwards more often than success does. Surely, in most cases the hero triumphs in the end, but not after the going gets real tough. Unfated allows us to replicate these plots more easily than most computer RPGs do. Not every encounter is a battle where only the player’s continued survival is the only acceptable outcome. Players might ‘lose’ an encounter and still live, making memorable and frequent adversaries out of characters that in other games are only staged to be killed immediately. Unfated takes every lost encounter as an offer to make the narrative more interesting. If we play our cards right, even the tragic death of the hero offers the player epic gameplay.